Hello <<First Name>>, here is your CommUNITY Weekly newsletter from Deaf Aotearoa's <<Your local Office>> office. This newsletter includes your local news—the previous newsletter we sent out recently did not have your local news. NZSL In Action Awards Gala Dinner! The time has finally arrived! Tickets are now available for the New Zealand Sign Language In Action Awards Gala Dinner. This is your opportunity to put your bling on and attend this fabulous evening, catch up with old friends, meet some new friends and celebrate NZSL and Deaf culture. Share with your friends and family, let's make this a night to remember. See you there!!! The Deaf club is open this week. There will be a competition for everyone who comes! From next Monday 20th April, patients, visitors, and staff wishing to park on site at Whangarei Hospital will have to pay a parking fee during Monday to Friday from 8:30am to 5:00pm. The first hour is free for the public. Weekends and after 5:00pm during the week is also free. Motorbikes and bicycles can park for free at any time. You will receive a parking ticket when you drive into the hospital site which will give you access to the car park. Take this ticket with you - do not leave it in your vehicle. If you are parking at the hospital during the free times there will be no fee but you do need to validate your ticket in a pay machine to enable you to exit the car park. At the end of your visit and before returning to your vehicle, insert your ticket and pay at one of the automatic payment machines. Pay machines are located in the car parks and inside the foyer of the hospital (near the main entrance). The machine will tell you how much you need to pay for parking. You can pay with cash, EFTPOS or credit card. Return to your vehicle. Drive to nearest exit and insert your ticket into the machine to raise the barrier arm. If your ticket is unpaid the barrier arm will not rise and you will need to return to the pay machine. Tiki Tavern in Tikipunga is celebrating their 40th Birthday and everyone's invited!! They are a friendly local community pub with awesome hospitality and a safe family environment. Want to learn about the process of making a short film to enter in New Zealand Deaf Short Films Festival? Deaf people with experience in film making will lead you through the process. If you are interested, make sure you RSVP, bring to the workshop your spirit of creativity and any burning questions you have! If you want to you can bring your own smart device so you can learn cool features for making a short film. RSVP to enquiry@nzdsff.co.nz by Thursday 30th April. Spaces are limited, so be quick! The Super Nutrition TEC Course that was on Sunday 12th April was very successful. Many of the participants enjoyed the course and learnt lots from it. Remember TEC courses are for you! They are set up by Community Relations Officers at Deaf Aotearoa. We are not able to set up courses if we do not know what you want. If you have a few ideas of what you wish to take part in, please let us know. Please have a look at the attached flyer, it shows you all the exciting events exciting awaiting for us during NZSL Week! Book these now on your calendar/diary and do not miss out on lots of fun this NZSL Week! It will be the same day as Karanga Plaza on Saturday 9th May. It is a few minutes walk away. Book now for your and families or friends. We can only take 40 people on this tour. For the month of April, if you take your child on any course at Rocket Ropes the child will get free entry to Butterfly Creek. You will need to go on the same day as you climb at Rocket Ropes, just show them your Rocket Ropes wristband at Butterfly Creek. Please have a look at their website for more information. This offer expires on Thursday 30th April. Once again, the Rotary Club of Waikato Sunrise are offering complimentary tickets for Deaf community members and their families to attend their Circus Quirkus show. They have had many great shows over the years for local families, and they would like to invite you to come and join them. The Rotary Club of Waikato Sunrise and the business community throughout the Greater Waikato area have come together to sponsor these complimentary tickets – this is their gift to children and their families. Enjoy chatting! Meet other Deaf people. Help others practice their NZSL skills. Be a signing role model. Promote Deaf culture in the community. Meet others learning NZSL. Everyone is welcome! There will be people learning NZSL that will love to meet and sign with you too! Children welcome if with an adult. Come on ladies, let’s get together and chat about women’s health, don’t be shy, let’s have fun! Invite your friends and family. Let’s share our experiences together. Check out the flyer for all the details. Also see their Facebook page and event. If you’re interested in playing, then you need to contact Shaun or Hemi by email. Information about the prize-giving award will be shared later, and all seasons money will be given at prize-giving. So get a team together and come join the tournament! Come and see a performance with four Deaf Waikato actors on stage. To book tickets you must email hwright@waikato.ac.nz tell them what day and how many tickets you want. Three NZSL Week events are coming up in May. Please put these in your diary! To attend any of these events, please contact Sue Lessing your local CRO to put your name down ASAP. Email sue.lessing@deaf.org.nz, text 021 920 675 or Skype deaf.aotearoa. This is your opportunity to experience the Hobbit tour with NZSL interpreters! Get there at 12:15pm for the 1:00pm start. The tour will take about 2.5hours to 3 hours. There will be some walking involved, so please bring comfortable walking shoes and a jersey or raincoat in case. Hurry to get your name in before spaces run out. Limited to 39 people. Go into the draw to win one of the 10 free tickets. One per family. One of the staff at the Art Gallery, Kelly who can sign, will take you on a free tour of the gallery. Get there at 2:30pm for a 3:00pm start. The tour will take about an hour. There will be question time if you want to know more. There is free parking outside the Art Gallery. There will be a stall outside the entrance. People can fingerspell their name to go into a draw to win a t-shirt! This will be a family fun day. Enjoy walking around seeing Jenny the kea, see the tuataras, kiwi birds, and more. You could also have a fun ride on the Big Splash! We are giving away five free tickets! First come, first served. One free ticket per family. Do you want to know more about your rights? Anna Dubbelt, who is your Deaf Advocate, would like to meet with you. You can tell her privately if you have been mistreated and Anna will advocate to improve the service for you and the Deaf community. Come and meet her. Tea and coffee will be provided. If you can’t come but you want to meet Anna, you can contact her to make an appointment for another time. Click on the flyer for contact details and more information. A lovely fun day outing for the family. Click on flyer for all the information of what will be happening on the day. Dogs are welcome on a leash! If bad weather, this fun day will be postponed to Saturday 2nd May. Keep these dates free to attend our celebration events! Cost: Free to attend, but you need to buy your own popcorn! Short films produced by our Deaf community in NZSL. Public learn their favourite sign for a free lunch! Free entertainment, sign singing groups, face painting and free roller skates! Welcome to one of New Zealand's three official languages. Sign up, have fun, challenge yourself and meet new people! These courses runs for eight weeks with a 1.5 hour session each week. Bring whānau and friends and spend the day listening to their great entertainment while enjoying the great food on offer and checking out stalls selling fruit, vegetables and crafts. This is a talk about the inspiring English village of Todmorden. There, the whole community has come together to learn about, grow and eat local food. People from around the world have been visiting Todmorden to get ideas and start their own local food movement. Dee Turner from New Plymouth, who visited recently, will share what she discovered and explore the potential for similar models here. This event is hosted by the New Plymouth Green Party and Taranaki Sustainable Living Fair. 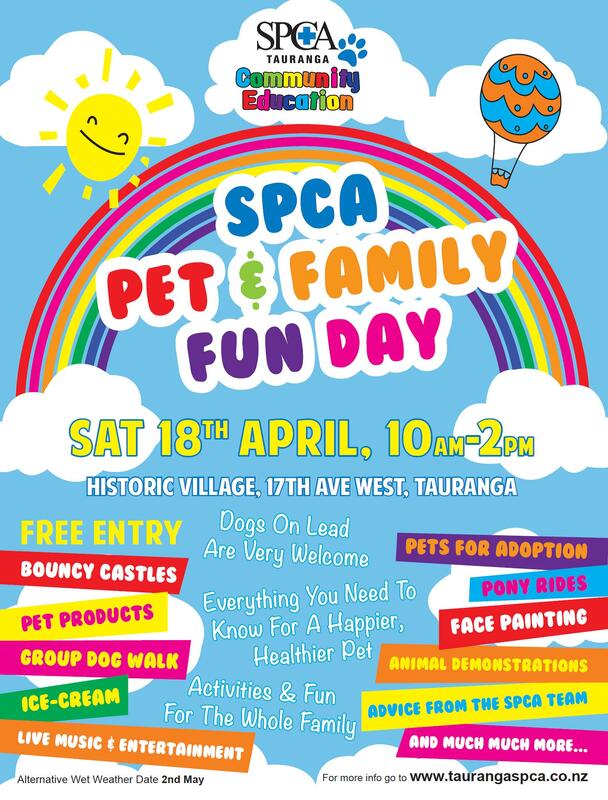 We will have a stall with NZSL resources and giveaways. We will also deliver a taster class. We want to see many Deaf people there to show and teach hearing people some signs. Let Lee know if you would like to come along—it will be fun! An official flyer will be sent out soon. We will have a bouncing castle, candy floss, NZSL activities, taster classes, BBQ plus many more. We need volunteers to set up about 9:00am, set up everything ready for a fun day from 10:00am. If you wish to come along and help us please contact Lee. Bring all your families, Whanau and friends. This is open to everyone to come along promote and celebrate our language – New Zealand Sign Language. If the weather is not good, it will move to Hawkes Bay Deaf Club, 22 Lee Road, Taradale. Te Matau a Maui Voyaging Trust (Waka Experience) invites you to see the movie premiere of Te Mana o te Moana - The Pacific Voyagers and meet and talk with the crew of this voyage. The proceeds from the ticket sales will help the waka and crew with their upcoming voyage to Rarotonga in May 2015 to celebrate the 50th Anniversary of self-governance. Lianna will be away on Tuesday 21st April. On Friday 24th April, Deaf Aotearoa will be closed because staff will be attending a forum. Remember, if you wish to see Lianna or Annette, please contact them to make an appointment to avoid disappointment. They now have their club licence for 12 months, this means that you are no longer allowed to bring any drinks to the Deaf club. This Friday there are two things happening at the Manawatu Deaf Society. At 7:30pm James Bichan, iSign manager, will be doing a presentation about funding mysteries. Then we will have social club fun games. It is a good opportunity to come along and ask any questions you have about iSign while James is at the Deaf club. We will all meet at the Deaf Access Centre and jump into the van to head to the Whanganui Regional Museum for 2 signed tours—Maori Court and House of Bones. These tours will take 1.5 hours. Afterwards, we will all head to the Colombian Café at Trafalgar shopping centre for lunch (this is at your own cost). After lunch we will head to Chronicle Glass to either watch Glass Blowing if they have not run out of glass. If they have run out we can check out their store and talk to the people. Our last trip will be to the Durie Hill steps and elevator, hoping for a stunning day to see the views of Wanganui before we head back to the Deaf Access Centre for afternoon tea. Please book with Lianna if you wish to come on this tour. Everyone is responsible to pay entry fees for the museum and elevator. Please bring your money with you. We will all meet at the Memorial Park car parks and jump into the van to head to the New Zealand Rugby Museum. There will be a guided tour where you will be able to handle some replica objects followed by a try out of the have a go area! Sound like it will be lots of fun! After this tour you are free to roam around Palmerston North for lunch however the van will leave at 1:15pm sharp to head to The Herb Farm in Ashhurst. At 2:00pm we will have a guided tour around the farm then have afternoon tea at 3:00pm. Please book with Lianna if you wish to come on this tour. Everyone is responsible to pay entry fees for the rugby museum and herb farm. Please bring your money with you. Come along to our staff, we will be promoting NZSL week, handing out resources, filming your favourite sign, signed games, casual signed conversation and learning NZSL! There will be spot prizes. Not long now until we get underway with this year’s New Zealand Sign Language Week! Check out the events we have on offer here in Wellington. It will be great to see as many of you as possible at the events to celebrate and bring awareness to NZSL! Dawn service at Pukeahu at 5:30am, former and current service personnel are welcome to march in the parade. Marshalling begins in Tasman Street from 4:45am. Some seating will be available for those who need to sit during the service. Please approach one of the marshals at the event. This event will be interpreted into NZSL. Wellington citizens wreath laying service at the Cenotaph at 9:00am. National Service of Commemoration at Pukeahu at 11:00am. There is no veterans’ parade for the service. Those who need seating are encouraged to approach a marshal to get a seat in the specially marked areas. This event will be interpreted into NZSL. Atatürk Service at Tarakena Bay, Strathmore at 2:00pm. Dawn service from Gallipoli live on big screens at Pukeahu at 2:30pm. Ceremony of Beat Retreat at 5:15pm. WW1 Remembered screened for the final time from 7:00pm to 10:00pm. Check out the NZSL video below, which explains what Arts Access Aotearoa are doing to make the arts more accessible to Deaf people. This is why it has felt so cold!! Luckily we are having bright sunny days though, keep warm everyone. At least two roast meats per week and an outstanding selection of vegetables, Yorkshire pudding, gravy and awesome deserts, as much as you can eat. Booking essential book online www.hangar58.co.nz or call 03 545 8158. All welcome—please let Rachel know if you are coming. Cost: $100.00 for each eight week course. Learn basic NZSL conversation skills and begin to understand and develop NZSL grammar. Develop the use of facial expressions and improve visual and spatial awareness. This course is designed for those that have completed level 1A. This course is designed for those that have completed levels 1A and 1B. We have lots of exciting events coming up for NZSL Week here in the Nelson area. Susan Peters is looking for volunteers to help with these events. If you are free anytime from Monday 4th May to Saturday 9th May, Sue would appreciate your support. You will get a free t-shirt and a voucher in return for helping. If you are interested please contact Susan by texting 021 939 415 or emailing susan.peters@deaf.org.nz. For more details please see the flyer, thank you. Learners need to finish up the F endorsement paper test for the forklift course. Interpreter provided. Please contact Anna if you have any questions. We have three events this year during NZSL Week between 4th to 10th May. Information and a video about one event will be in the newsletter each week until NZSL Week starts. Please contact Anna for more information about any of the events! Come along to the Octagon to this family friendly event during NZSL Week. There will be games for children, food from the Lion’s Club caravan, an ice cream truck, face painting, story-telling and a balloon artist! We will have an awareness table and will give away NZSL resources and teach people to sign their names to go into a draw for prizes. Come along to a special evening with Phil Harper. Phil is a Deaf Auslan signer and he is the Community Liason Manager at Conexu Foundation in Australia. Conexu is a non-profit organization focused on improving access for Deaf, hard of hearing and speech impaired Australians. The workshop will include history of technology and access for Deaf people, communication technology options, useful apps and time for discussion and questions. Please contact Anna for more information. Where: ILT Stadium Southland, Surrey Park Sports Centre, Isabella Street, Invercargill. Come along and support Invercargill’s Southland Sharks basketball team for a fun family night out. Tickets available at Stadium Southland. Drinks and food available on site. Please RSVP one week before the session date. To all that confirmed your place on the First Aid course, your confirmation letters are in the mail. I have organised for a night out at Ten Pin Bowling for Friday 8th May. If you would like to come along and have a game please contact Rebecca to confirm your place. Please RSVP before Thursday 23rd April so we know how many are coming for catering purposes.